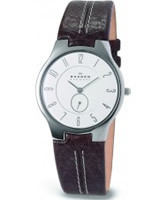 Take a look at a closer look at this devilishly hot watch from Skagen. 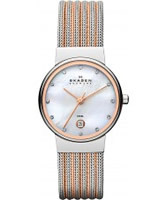 The Ladies Multifunction Charcoal Watch 357XLMM from Skagen is a great example of why the Skagen range has become so popular. 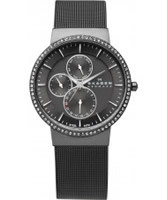 Suitable for most occasions/pursuits and great value for money, it's hard to find a reason why the Ladies Multifunction Charcoal Watch 357XLMM shouldn't be high up on your shopping list. 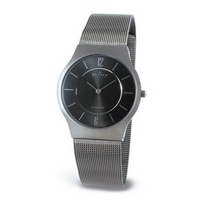 Of course the Skagen Ladies Multifunction Charcoal Watch comes in it's original packaging, making it an ideal gift.